Bhutan is unlike the average tourist place… the first word that comes to my mind when I think about it is 'understated' and the second word is 'magic'. The land locked nation of monarchy, monasteries, cultural pride, fiercely guarded values, kings and deities and demons will appeal to you if you like quite naturally beautiful places and want to explore cities and towns with a glorious past. Bhutan shares its borders with Tibet (on north & east) and India (bordering west, south and partly east). It's located on the southeast slope of Himalayas with an average altitude of about 2,400m. 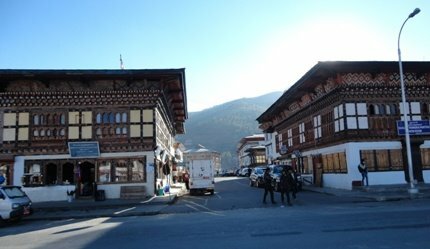 Thimphu is the capital and Paro is the only place having a commercial airport. Bhutan follows constitutional Monarchy. The house of Wangchhuks have ruled the country since 1907. Jigme Khesar Namgyel Wangchuck (the thunder Dragon King) has been the monarch since December 2006 and his son Jigme Namgyel Wangchuck (born 5 February 2016) is slated to be the next King. The Bhutanese genuinely adore their king who is said to be quite friendly and affable and you will find pictures of him with his wife and son everywhere ranging from clocks to calendars to currency notes. The stunning Himalayan Vista and the ancient dzongs (fortress like structures that perform both administrative and monastic functions) are just a widely publicized part of Bhutan… there are spectacular archery competitions, dance shows, formidable trekking trails and exotic flora and fauna. However, tourism is not obtrusively promoted in Bhutan and I had the impression that tourists are organically drawn to the country despite the whopping 250 USD per day that is charged from all foreigners (barring Indians and Bangladeshis). You might have heard that the Bhutanese measure their success by GNH (Gross National Happiness Index) and not GDP. Legally the country is committed to preserve 60% of its land to forests (it currently achieves 70%) which explains the freshness of the air here. Smoking in public places is banned and there is very strict traffic regulation. Bhutan is one of the few places on earth that absorbs more carbon than it emits. 'Takin' - a furry cross between a goat and the antelope is the national animal here and blue poppies are the national flower. Traffic rules are very strict and you cannot cross the road apart from designated Zebra crossing and cannot park your car apart from specific places. Stunning scenery is commonplace in Bhutan. Bhutan aims for low volume high value so if you are looking for dirt cheap backpacker style travel…you won’t find it here. However, you can find ways to economize. Just in case you are not aware, Bhutanese currency and Indian currency are at par. Which means 1 Bhutanese Ngultrum (NU) equals 1.00 Indian Rupee and Indian money is accepted everywhere. If you are travelling from Kolkata, Kanchankanya is the only daily train which goes via Hasimara which is a Cord Line station, the rest of the trains go via the main line till the last stop Alipurduar. If you are opting to go by train from Kolkata or from West Bengal, ideally you should book your tickets in KanchanKanya express, get to Hashimara station and then take a transport to the border town Phuentsholing. Otherwise you would have to spend close to 3K INR for taxi fare to get to Phuentsholing. However there are several other ways of reaching Bhutan from various places in India and other countries. One popular mode of travel is by flight. 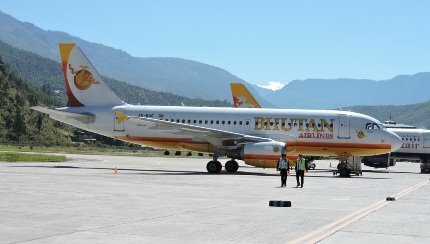 The only international airport in Bhutan is located in Paro. To know all the ways of how to reach Thimphu and Paro in Bhutan, click here. And once you reach Bhutan by air or its border by road, you need to go through customs and immigration formalities. Check Bhutan Customs & Immigration for details on duties and restrictions. I chose to travel by the train Kanchankanya from Kolkata. Once I reached Hasimara station, there were three options for reaching Phuentsholing, the border town of Bhutan. 3. I could book a taxi at 400 INR. I chose option-2 (reserved auto) and reached a point called Jaigaon. Now Jaigaon and Pheuntsholing are just two sides of the border with the Majestic gate to Bhutan separating them. Jaigaon is the border township at the Indian side while Phuentshoing is the border tow of Bhutan. But there is a dramatic difference between the two townships. As you go through Jaigaon, you will realize you are in a hell.... it's a dirty, filthy and crowded township that you would like to whizz through as quickly as possible. But once you cross over, it's a haven out there. However, the immigration office was still 1.5 km away. Ideally I would have walked down but since I had a lot of luggage I quickly took a local taxi again which cost me 50 INR. I had already booked for four days at the Metta Resort and Spa in Paro so had a fixed agenda of reaching Paro that very day. A better option would have been to spend the day in Phuentsholing and then move on to Paro/ Thimphu the next day to make the journey more comfortable. 1. Book a full cab SUV for 3000 INR or a smaller vehicle for 2500 INR. 3. Book a seat in the bus service (it is very regularized and buses leave every half an hour from Phuentsheoling to Paro). In this case too I will be dropped at the Bus Stand. By this time, I was a little tired and wanted to reach Paro fast which is why I chose option-1. 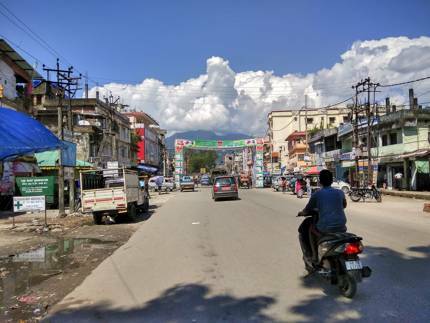 Phuentsholing to Paro is 160 km and ideally it should take 4.5 hours by Taxi. However, the seductive beauty of Bhutan (especially unpopulated unexplored parts of it) took away 1.5 hours more. The very first place I crossed was Rinchendling which has the beautiful Peling Resort and Spa. 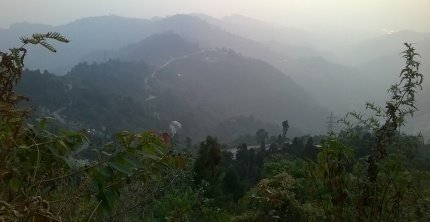 Near Phuentsholing there is this beautiful view point that provides a breath-taking snapshot of the Bhutan mountains. After roughly 45kms (took me 1.5 hours) I stopped at Gedu at Lhamu Restaurant and Bar. I stopped at 3 places for coffee and at Sorchen for soaking in the magnificent view. Sorchen incidentally has a huge electric tower from where lines go to Bhutan. The Taxi driver was helpful and quite well informed and he told me that Bhutan Government earns a lot by selling electricity. A new tower which would supply electricity to Delhi amongst other places, is almost fully completed at Thimphu. He seemed very happy and content with his country and categorically told me “Visiting India makes my blood pressure go up. Too many people…too much dirt and too many lies!!!”. He also went on to say that electricity, education and medical services are almost free for Bhutan citizens. He has two daughters both are studying in Schools where education, hostel expenses and food is completely free for just INR 80 every month. In cities like Paro, Thimphu etc., merchants and home owners to pay 2 per unit but in rural Bhutan electricity is free. I had started off at 3.45pm from Phuentsholing and the sun had set at 5.20pm which meant that I spent the last four hours of my journey under the moonlit sky (12th Jan…yesterday was a full moon night) and a fast dipping Celsius. Initially I was apprehensive about travelling up the mountains after sunset but the moon provided a great source of light. There was something strange and eerily beautiful about the wild ragged mountains bathed in moonlight…a kind of beauty that grows on you subtly and then seduces your soul. I deeply regretted not bringing along a DSLR but perhaps what I witnessed during that moonlit 4-hour ride is not something that can be expressed through words or pictures. Bhutan has this amazing array of natural springs which push out water from the very bowels of the mountain. I stopped at Bjagay Menchu (near Paro) and there is another one…Dobji Menchu (Paro). My taxi driver emptied his bottle, filled it up with water from the spring and urged me to do the same. The water tasted sweet and very refreshing. I found my travel induced headache creeping away after that. I reached my Hotel at around 9.30 p.m. and found that Paro goes off to sleep at around 8 p.m. it took a lot of time for us to find somebody who could guide us to the Metta Resort and Spa. You need to have photo copy of voter ID Card/ passport, two passport size photos before you apply for the pass / permit to enter Bhutan. I didn’t have the passport size photos when I reached Phuentsholing and had to rush to an instant photography shop there for the photos. There is a Xerox shop right across the immigration office at Phuentsholing and they photocopy all documents apart from providing instant photographs. Rates in Phuentsheoling are higher so you can also get the photos and Xerox copies done near Hasimara station. Immigration office is closed on weekends so passes are not allotted on these days. If you are planning your arrival in Paro/ Thimphu etc. on Friday, make sure you get your permits done from the Bhutan Office in Kolkata or make sure that you reach well before 4 p.m. (quite unpredictable as trains tend to delay once they cross Maalbazar). For Paro and Thimphu, passes are available from Phuentsholing but for going to punakha, bumthang etc. separate passes need to be issued from Thimphu immigration office. All immigration offices close by 4 p.m. and you must remember that Bhutan is half an hour ahead of IST. I reached there at 12.30 IST and therefore had to wheedle away an hour as it was already 1 p.m. in Bhutan. 1 p.m. to 2 p.m. is lunch hours for the immigration office and they are fussy about their lunch hours. Once Lunch was over (it was over at sharp 2 P.M…they are very punctual), the process of obtaining the permit was fairly a simple one. Though if there is a crowd, you would take a long time in getting the permits done. I just had to fill up a simple form and then the officer in charge took a photograph of me, scanned my finger prints and I got my permit. NOTE: The process of getting permits, visas and required documentation can vary depending on your nationality and also mode of travel. Click here to know all options to get Bhutan permit or visa. In the small kingdom of Bhutan there are twelve major places that you can travel to. The capital town of Bhutan (with average altitude of 2,300m) has a great night life, dazzling shopping options and beautiful sightseeing places like the Thimphu Dzong, Buddha Point, Takin Preserve etc. 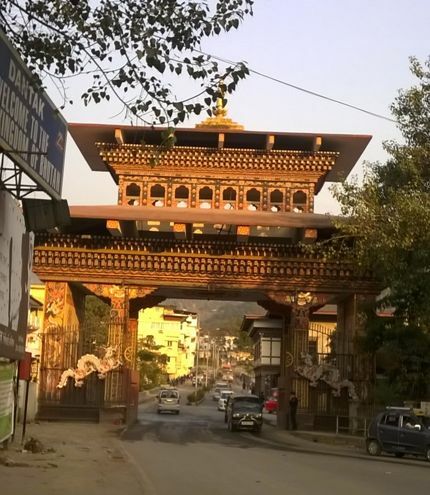 Thimphu can serve as the base for travelling to Punakha, Bumthang etc. Paro (with an average altitude of 2,200m) contains the only International Airport of Bhutan and if you are flying in then Paro is a must stop for you. Paro is a town located on Paro Valley and is also the main hub of the Paro district. This atmospheric town has souvenirs, wonderful Dzongs, Monasteries and charming little eateries and handicraft centers that will keep you hooked. You can choose to travel to places like Thimphu, HAA Valley, Punakha, Bumthang etc from Paro. Where to stay in Paro - know about the great budget, mid range and upscale hotels in Paro. Where to Dine & Wine in Paro - find out the great eateries and bars in Paro. A great place to stay in Bhutan, this Indo Bhutan Border town sees a mixture of Indian, Bhutanese and Nepali culture. Of special interest are the Torsa Tea Gardens, Zngtho Lhakhang and Karbandi Gompa. Also, one of the best places to go shopping in Bhutan. The erstwhile capital of Bhutan has temperate climate and stunning views. 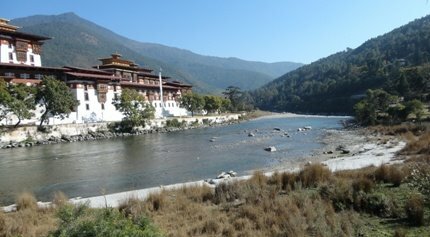 This is one of the most fertile areas of Bhutan (famous for cultivation of red rice) and has Bhutan’s oldest Dzong - Punakha Dzong. The Chimi Lhakhang, Khamsum Yulley Chorten, Sangchen Nunnery, Punakha Ritsha Village, Talo Village and Limbukha are the major areas of interest. Punakha is one of the best places to stay in Bhutan. Local Bhutanese claim Bumthang to be the prettiest place in Bhutan. Perched at a forbidding 2600m altitude the Bumthang valley takes a day’s ride from Paro/ Thimphu. Jambay Lhakhang, Khurje Lhakhang, Tamshing Lhakhang, Jakar Dzong, Koncogsum Lhakhang, Chankhar Lhakhang, Ugyenchholing Palace, Membartsho (burning lake) and Tang Valley are some of the places to visit. Wangdue Phodrang (altitude 1300m is filled with rich rolling fields, exquisite bamboo products and fine stone carved products. This beautiful town akso contains the Wangdue Phodrang Dzong that sits on the confluence of Punakha Chu and Tang Chu. If you are looking for cultural immersion, then HAA Valley is the best that you can experience. 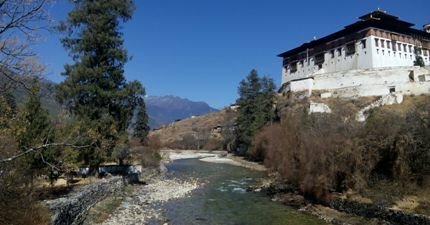 7th century Lhakhang Karpo (white temple), Lhakhang Nagpo (black temple), Mei Pensm (3 mountain brothers), Yangto Goempa, Jamto Goempa, Haa Goempa, Takcho Goempa are not the only attractions of HAA. The drive to HAA from Paro will have you cross the picturesque Chele La Pass and you can see the Chomolhari, Jichu Drakey Mountains. This valley prides itself on ancient tantric culture and its allegiance to Apu Chundu (local deity). For the naturalist and the seeker, Gangtey Valley is nothing short of Paradise. There is a vast expanse of wide space where black necked cranes flock to as they migrate from the north. Phobjika village, Nakay Chu river (black water river), Gay Chu (white water river), Gangtey Goempa and Black Crane Information Centre are some of the main attractions off Gangtey. You could club your Gangtey visit with Wangduephodrang as they are a two-hour drive apart. This is another wonderful place perched high above on a cliff and rich with Tibetan culture. Lot to see and experience here including amazing Dzongs, ancient palaces, nature trails, passes, scenic views and more. Trongsa is about 80kms from Thimphu. 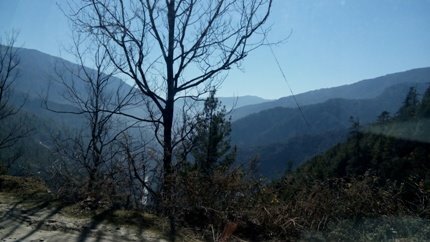 If you are driving from Wangdue to Trongsa, Click here for the journey. If you visit Bumthang then you can journey to the serene Mongar valley through the Thrumshing La Pass. Roaring waterfalls, rocky cliffs and unusual color schemes of vegetation makes this one of the best places in East Bhutan. Yakang Lhakhang and Drametse Lhakhang are the main sightseeing spots in Mongar while many choose to drive to Lhuntse (75 km away) which has a savage rocky beauty and offers Bhutan’s finest rural weaves. A convenient exit point for tourists and the junction between East and South Bhutan, this bustling town has good hotels and travelers Inns. In case you have come from Assam, this can be a good place to stay in Bhutan. Eastern Bhutan’s Trashigang is at an altitude of 1100meters and has a direct passageway to Assam. This is an important town and trade center with Trashigang Dzong, Gom Kora being the principal attractions. One of the main tourist spots of East Bhutan, Trashi Yangtse (located near Trashigang) is a major town and handicraft center which is famous for its wooden bowls and Chorten Kara Stupa. Bomdelling, Ranjung Woesel and Trashiyangtse Dzong are some of the other attractions around. Gelephu is another border town located at the southern-central part of Bhuta. It located across the border of Assam (India) and next to Dadgiri in the Chirang district of Assam. Gelephu offeres access to some of the best national parks of Bhutan and has several other nice tourist attractions including Lhakhangs, Dzongs, local street markets offering fresh organic produces and more. While shopping in Bhutan is by no means cheap, you can get reasonably priced items if you know which stores to visit. Another thing that you should be careful about is the authenticity of the products. So you should know where to go. Bhutan is rich with locally made products such as hand weaved exquisite textile items, handcrafted intricate Thangkas (scroll paintings), masks, craft work, unique grocery items and even jewelry. Hi, I have read your bhutan tourism blogs. I have one query .. you have written rates for the cabs in paro and thimphu for various places like from paro to Haa it is 1060 Nu. I wanted to ask are these rates for exclusive private cabs or one seat in a shared cab?? And is it possible to travel solo in Bhutan on a budget without using any tour operators?? Please reply if u can. it will be a huge help. Thanks!! Hi, the taxi fares mentioned are for private (or reserved) small taxis. Shared taxis are uncommon in Bhutan. Bhutan generally positions itself as a low volume high investment tourist destination which is why it's not a typical crowdpuller and is slightly difficult for tourists on a strict budget. However there are plenty of hotels and budget restaurants in Bhutan so economising shouldn't be a problem but you have to adjust with a typical Bhutanese menu (pork and beef and chilly dominated) and sparse facilities. You can travel without help of a tour operator but may face communication issues especially in remote areas. It's better to pre-plan and pre-book instead of travelling to Bhutan and then looking for accommodation. Solo travel otherwise is safe... Bhutan has a very low crime rate and is generally very friendly.